The Media Center/Library supports CCA's philosophy and mission, promotes reading, and inspires a lifelong love of reading for pleasure, information, and personal growth. The Media Center/Library also strives to teach students how to find and use information effectively, efficiently, and ethically. The Media Center/Library is open Monday-Friday from 7:40 am to 4:00 pm (except for Tuesdays 3:30 pm) to serve our students, parents, faculty, and staff before and after school hours (lower school students must be accompanied by an adult before and after school). High School source: This resource offers more than 150 reference publications, full-text newspapers and periodicals, map, hundreds of thousands of images, videos, and audio selections, as well as archival materials from well-known sources. Middle School resource: This resource covers the most-studied topics ranging from cultures and government to history and literature. Lower School resource: This resource is a content-rich, authoritative, easy-to-use digital resource featuring age-appropriate, reliable, curriculum-related content covering a broad range of educational topics. The modern design and simple navigation make it easy for users to explore content and gain comfort with database searching. Middle School and High School resource: This cross-curriculum product covers today’s hottest social issues and support science, social studies, current events, and language arts courses. Informed, differing views help learners develop critical thinking skills and draw their own conclusions. ImageQuest is the most trusted and comprehensive, curated database of images, uniquely designed to meet the growing needs of educators, students, explorers today. It’s evolving database boasts over 3.25 million images from 62 leading collections. With ImageQuest, educators can strengthen lesson plans and foster deeper student engagement by incorporating visual thinking. This dynamic database makes the perfect companion for bringing language arts, math, science, and social studies curricula to life. As the premier database for copyright images, ImageQuest is ideal for public libraries, too. Please use the combination of ccacademy and eagles to access the site. 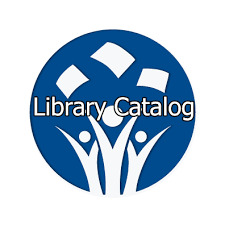 The Christ's Church Academy online card catalog is an electronic bibliographic database that describes all the resources we have available to our students in the CCA Media Center. In addition, this link will connect students to Follett Destiny Quest, a student-friendly searching interface that is designed for today's digital students. Students can share what they have read, are reading, and want to read. Allows them to share reviews, comments, and recommendations. Searching for books with a corresponding Renaissance Accelerated Reader 360® quiz is easy with Accelerated Reader Bookfinder®. Students, teachers, parents, and librarians can search in English or Spanish using criteria such as ATOS book level or a Lexile™ measure, interest level, title, author, fiction/nonfiction, subject, award-winners, state lists, CCSSExemplars, and more. AR Home Connect is fun and easy to use. It allows you, your child and your child's teacher to share information about your child's progress in Accelerated Reader. You can log in to Home Connect from any computer with an Internet connection and compatible browser. 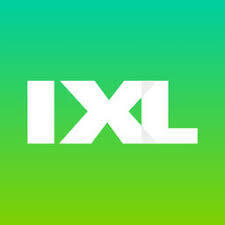 IXL is an immersive K-12 learning experience that provides comprehensive, standards-aligned content for math, language arts, science, and social studies. With IXL, your children will learn at their own pace—IXL's adaptive questions automatically adjust to just the right level of difficulty. A wide variety of question types keeps practice sessions fresh and enables all types of learners to excel. Questia School is the premier online library and research tool for high school students. Its collection of thousands of digital titles and productivity tools supports cross-curricular studies in standard and advanced high school-level courses. With research tools and instruction integrated into 94,000 full-text digital books, and 10 million articles, Questia School helps students apply their research in meaningful and impactful ways. Questia School also supports other advanced classes including Art and Architecture, Business and Management, Communication and Language, Economics, Environment, Government and Politics, History, Literature, Music and Performing Arts, Psychology, Religious Studies, Sociology, and Anthropology.